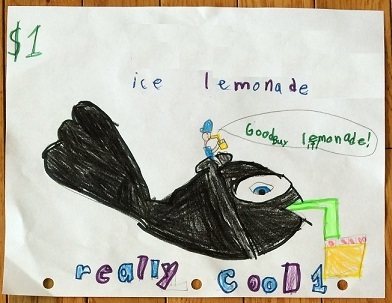 A couple of summers ago, my daughter launched a lemonade stand “startup.” I wrote about some of the business lessons from her lemonade stand venture in a previous post. In the world of economics, there is a concept called price elasticity of demand. It’s a whole bunch of complicated jargon that allows economists and business owners to measure how sensitive the demand of an article is in relation to its price. For example, if a brand of rice doubles its price, its demand will fall. Why and by how much? The answer to that question keeps economists employed. They tell us that there are lots of other rice brands you can buy, thus your demand is fully elastic – and the price will fall. You get the gist, so let’s get back to the story. Last year, my daughter had a simple offer for her clients. She sold two pouches of lemonade for $1.00. I thought this was a fair deal since she was selling them at twice her cost. More importantly, I hate having to make change so it was easier to sell two for $1.00 rather than one for 50 cents. Ten minutes later she had sold all her inventory and gleefully held a fistful of dollar bills. All I could mutter in complete disbelief was “OK, princess, I have much to learn about business….” I had miscalculated the elasticity of the demand for her product. This is what actually happened. She approached the first mom she saw and made her sales pitch. This mom, along with three other moms, had bravely decided to take a pack of twelve wild kids to play in the park. These kids were feral and, above all, thirsty. There was just one small problem – she did not have the cash on herself. The mom looked at her husband and barked what sounded more like and order than a request: “Honey, go to the car and get money. We need to buy lemonade from this little girl.” Then she added “and the kids are thirsty, so please make it quick.” The poor man looked at me, puzzled. I shrugged. “I just work here” was the only thing I could say. When it was just my daughter and me, the gig was simple. We would load up the lemonade pouches in a cooler, go to the park, and start making sales. We approached clients, who often bought from her. Forty minutes later, we were done. My sole objective was to sell out quickly and get back into an air-conditioned house. Remember, she runs her startup during the summer. We live in South Florida, where the humidity is close to 90% and the temperature is close to 100 degrees. Hell is slightly cooler and more pleasant than Miami in the summer. Then, my wife and my daughter decided it was time to create a proper business. They decided to bake some pastries, create some signs, set up a table, sit down, and make sales to passersby. I thought it was a great idea, as long as it did not involve me. Sitting under the scalding South Florida sun is not my idea of fun. My daughter is a huge fan of animals and their welfare. She has been trying to raise some money to donate to the National Geographic Society, for its Kids Mission Animal Rescue program. One day, she looked at me and said “I want to put to signs out by the table. One is for my regular lemonade business. The other one is for my animal rescue program, aptly called “Saving Paws.” I want to see which one does better and gets more money. In other words, she wanted to do an A/B test. We had never talked about A/B testing. Her mom high-fived her. I high-fived her. We both thought that this was a great idea. And, just like that, she conducted her first A/B test – without any coaching from us. Guess who won? “Saving Paws” outsold her regular business – by a lot. If I recall correctly, a gentleman gave her twenty dollars for a bottle of water and asked her to donate the rest. More importantly, this test proved to her that charity sales could outsell her for-profit sales. Why is all of this important to your startup? When my daughter launched her lemonade startup, I had assumed that charging $1.00 for two lemonade pouches would be fair since it was double what she paid in the market. 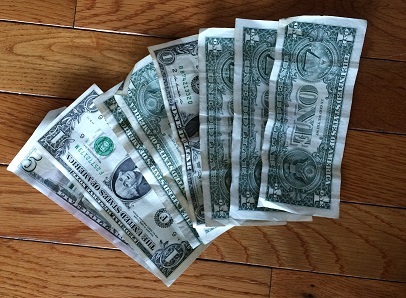 That assumption of “fairness” proved to be wrong and cost my daughter money. Another assumption was that a lemonade business should sell only lemonade. As a matter of fact, half of her potential clients asked if she sold bottled water. Eventually she added water to the mix and increased her sales. Look at your startup and see if you can find any assumptions and determine if they are worth challenging. Consider testing alternate assumptions, which brings me to the second point. I am a big fan of running tests. I like doing A/B tests because they can be done simply and the math is not too hard. There are other, more complex tests you can do if you are brave enough. Tests are important because they allow you to optimize your company. You can optimize your marketing, pricing, conversion rates, and most elements of a startup. There is one catch though – be careful with over-testing. Some startups or founders become so involved in testing every single detail that they lose sight of the big picture.